Microsoft released the Windows 10 October 2018 update (version 1809) to the general public on October 2. However, just two days after its release, the Redmond giant has paused the rollout after users started complaining of data loss. Apparently, only those people who manually installed the Windows 10 October 2018 update feature are facing this problem, since Microsoft had not started automatically rolling this latest update. Users took to social media forums such as Twitter, Reddit, and even Microsoft’s own support website to complain that the Windows 10 October 2018 update process deleted their documents, including user profiles, photos and music. 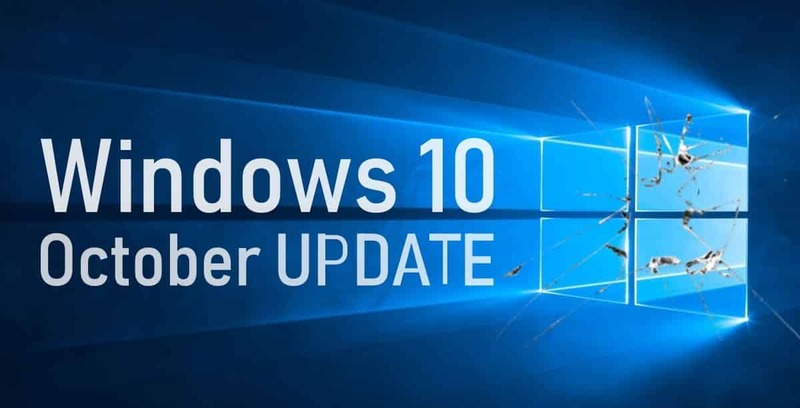 Microsoft confirmed the news to suspend the public delivery of Windows 10 October 2018 update on its Windows 10 Update History page. It further said that the company is investigating the reports and the update will be republished when a fix is arranged to address the critical bug. “If you have manually downloaded the Windows 10 October 2018 Update installation media, please don’t install it and wait until new media is available. Dona Sarkar, who runs the Windows Insider Program, tweeted that those who are affected by this issue to call Microsoft’s support lines. We hope that Microsoft rolls out a fix by Patch Tuesday next week. Those who are facing problems after installing the Windows 10 October 2018 Update, can recover their data by going back to the previous update under Settings > Update & Security > Recovery. Alternatively, you can recover the data by using freely available third-party software, as the bug only deletes your files, and not moves or overwrite them. And for those who are planning to manually upgrade, please ensure that you take a full backup of your files on an external hard drive before starting the upgrade process.